Top Draw has also produced large corporate group and team caricature pieces for top organisations. 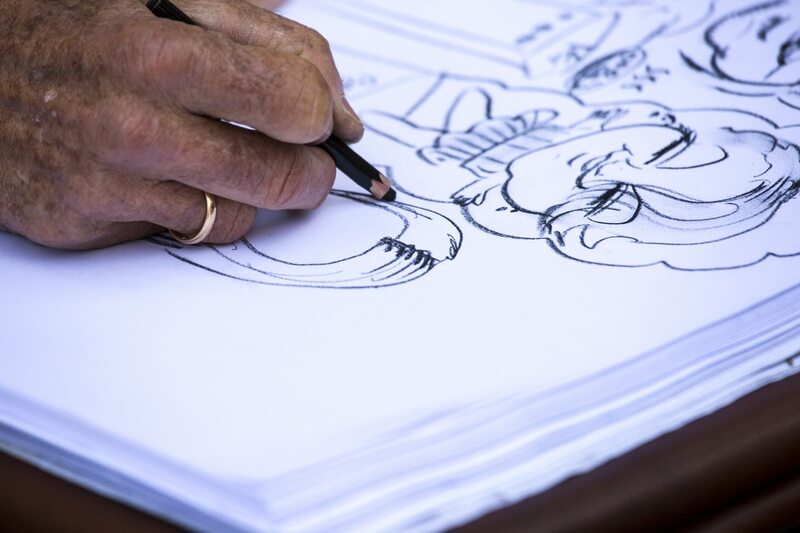 Usually commissioned in advance, he also draws invites, signing boards and place settings. Sometimes he has been asked to draw entire wedding scenes, direct from wedding photographs.